Martins Dukurs won his sixth world championship in skeleton, while Tina Hermann led a German sweep of the medals in the women's championship Friday. Elena Nikitina, one of the athletes who was implicated in the doping scandal that overshadowed the 2014 Sochi Olympics, has become the first Russian to win the World Cup women's skeleton overall points championship. Elena Nikitina of Russia built a sizable lead after the first run and went on to win the season's first World Cup women's skeleton race on Sunday. Simidele Adeagbo, who made Nigeria's Winter Olympic debut this year in PyeongChang, is back on the ice for a new Skeleton season, with an eye to the 2022 edition in Beijing. Lizzy Yarnold picked the perfect time to end a three-year winless streak and extended Great Britain's dominance in women's skeleton in the process. Nigeria's Simidele Adeagbo may have finished last in the women's skeleton at the Winter Olympics in PyeongChang, but her efforts on Friday and Saturday were nothing to be ashamed of for someone who took up the sport mere months ago. Yun Sungbin of South Korea won men's skeleton Olympic gold in commanding fashion on Friday, his four-run time of 3 minutes, 20.55 seconds easily coming in 1.63 seconds ahead of silver medalist Nikita Tregubov of Russia. Jamaican Anthony Watson and Ghanaian Akwasi Frimpong finished at the bottom of the skeleton standings, but that doesn't make their journey any less noteworthy. American rival Katie Uhlaender claims athletes and coaches are questioning the legality of the hi-tech suits being used by Team GB. It has been a common theme in South Korea that lugers, skeleton racers and bobsledders are concerned about the ninth turn of the Olympic sliding course. A place in PyeongChang is the fulfillment of a life-long dream for Skeleton driver Akwasi Frimpong, who is heading to the Olympics just six years after he thought his hopes had been crushed for good. South Korea's Yun Sung-bin clinched the skeleton World Cup title despite not racing on Friday as Axel Jungk claimed his first World Cup victory. Katie Uhlaender was nominated Monday to the U.S. Olympic skeleton team for the Pyeongchang Games, making her the first American to be a four-timer in that sport. The two Russians who had their medals from the Sochi Games stripped because of doping have been barred from competing in World Cup races, at least temporarily. The announcement that the IOC has sanctioned four Russian athletes could change a few things for Katie Uhlaender. Narrowly missing the podium at the Sochi Games to a Russian athlete, she may get the bronze medal after all. Two more Russian athletes were stripped of their Olympic medals from the 2014 Sochi Games on Wednesday, leaving the United States as the country with the most medals. Latvia's Martins Dukurs finished ahead of Yun Sungbin to earn his 49th World Cup gold medal of his career Friday, winning the season-opening race at Mount Van Hoevenberg. Janine Flock broke her own Mount Van Hoevenberg track record Thursday on the way to winning the first World Cup women's skeleton race of the Olympic season. Daly, Antoine on Cup skeleton team for U.S.
John Daly, who saw a chance at an Olympic medal go awry in his final run of the Sochi Games in 2014, is closer to getting a chance to compete at the Pyeongchang Games this winter. The USOC has greenlighted an Olympic scouting camp that will ultimately be packaged as a one-episode reality show. Four unnamed Russian skeleton athletes have been provisionally suspended by the International Bobsleigh and Skeleton Federation for alleged doping rule violations at the 2014 Olympics in Sochi. 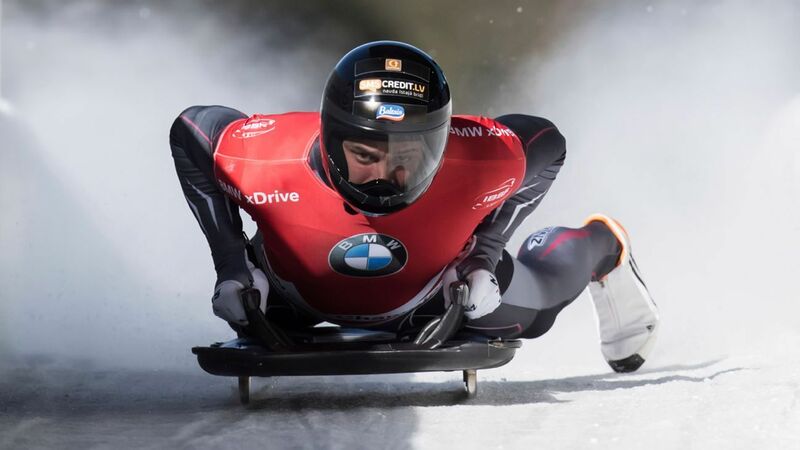 The German venue of Koenigssee has been chosen to replace Sochi as host of the 2017 world championships in bobsled and skeleton.